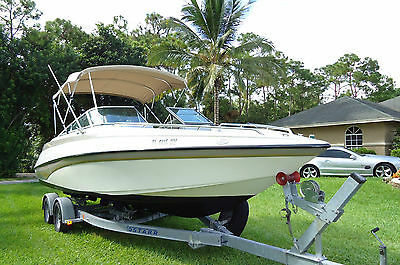 FourWinns SunDowner 195 Cuddy Cabin 210hp 4.3liter Fishing or pleasure boating. 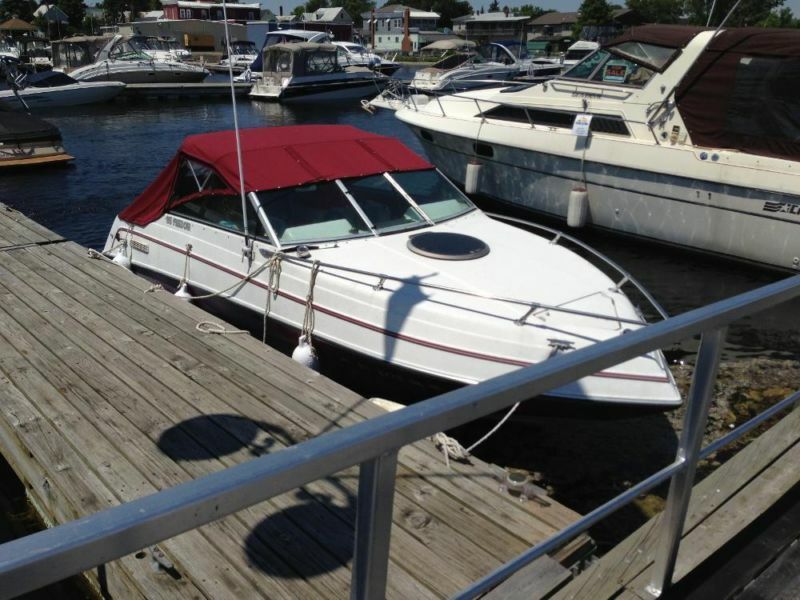 My boat I am selling is an 1987 FourWinns SunDowner 195 Cuddy Cabin. Overall length with teak swim platform would be about 21 feet. 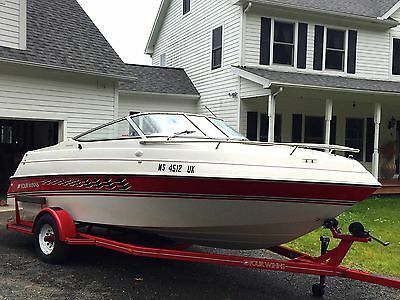 I have had this boat over 7 years now and 1.5 years ago I put a new Big Block in her from being 175hp it is now a 210hp 4.3 lt and she will do about 60mph. Comes with 2 Props and I use the SS one on it now. Cabin is in great shape with cushings and has a porta potty I put in. Has vhf radio and a lighted Ritchie compass and radio.All teak wood has been redone and boat overall and fiberglass is in great shape. Outdrive is an Alpha1 with new water pump and anodes. Gimbal bearing,bellows are all new and kept up. Boat also has a Bimini Canopy which comes in handy on hot days or getting stuck in rain. the bow has a hatch that can be opened from the cabin and forward of that is a few hundred feet of anchor line and anchor in compartment. Bow has 2 Coast Guard Approved Fog lights on rail for bad weather or night boating to see markers or buoys at night. All of the gauges work except the trim n tilt and believe that is it. Boat has a 35 gallon fuel tank on board. I am asking $7,700.00 and or maybe BO. Cash only on this sale. 1990 Four Winns Cuddy Cabin Red (Color Has faded) Has small cabin that seats 3 and can be turned into a bed. OMC I/O 175 HP HO 4.3 egine 2 batteries VHF Includes Four Winns single axle trailer. Tires are the original so they need to be replaced. The boat is stored (indoors) at Gaines Marina, Rouses Point, NY 12919 IMPORTANT Please note I will only contact those who reply with both their name and telephone number. 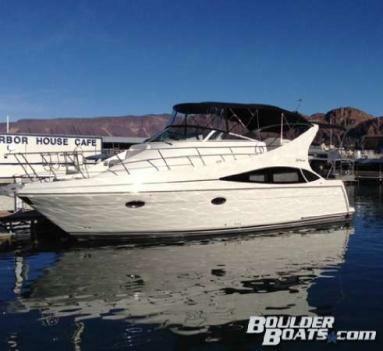 1992 Four winns 195 Sundowner Cuddy cabin 4.3 V6, 80 hours. 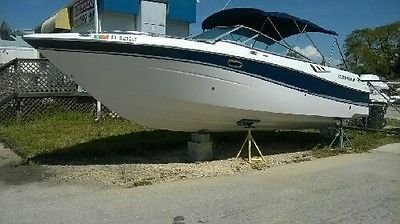 1992 Four winns 195 Sundowner Cuddy cabin 4.3 V6, OMC Cobra out drive. Sunbrella Bimini with extended top and side curtains. Cassette radio, depth finder, Life vest, fenders, Cover and Port a potty. Burgundy and gray trim, 80 hours. 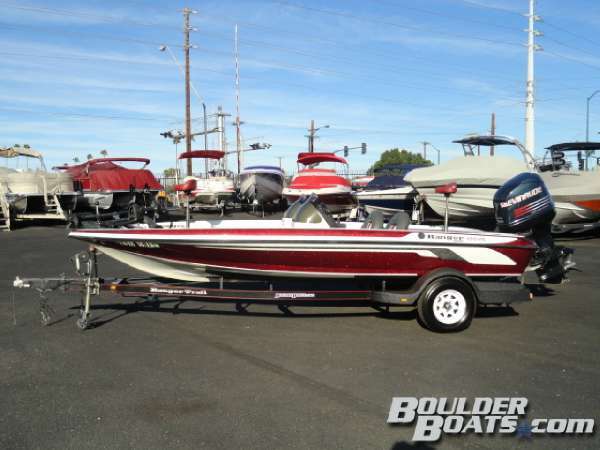 Very clean boat - $6400 Calls only 734-459-5243 before 9:00 PM - Sorry no Text. Posting removed when item is gone, otherwise IT'S STILL AVAILABLE! I will hold this item only during your travel time. BUY, REPAIR and TRADE for LIONEL & AMERICAN FLYER Trains. Thanks, and have a great day. 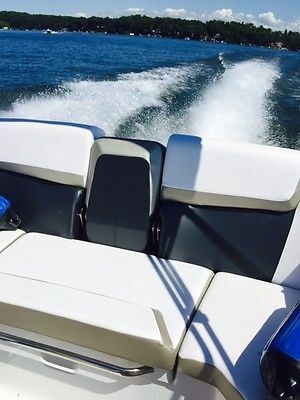 The boat is located a Gaines Marina in Rouses Point, NY Fresh water boat. Other than 2 years been shrink wrapped it has been stored indoors. Well maintained. In excellent mechanical condition. The gelcoat red color has faded. Runs well. I can supply more images if required. All reasonable offers will be considered. The boat has NY state registration. These are pictures from the catalog. The boat color has faded but the interior still looks brand new. Includes trailer. Has NY state plates. Engine OMC 4.3 ltr 175HP Depth Sounder - VHF - Canvas top in good condition. I will consider any reasonable offer. 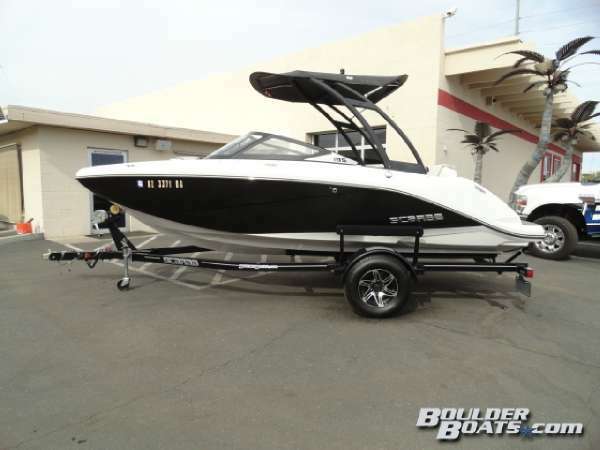 ALMOST NEW 2014 19' SCARAB BY WELLCRAFT WITH ONLY 14 HOURS. WE HAVE USED IT FOUR TIMES, JUST PAST THE "BREAKIN" PERIOD. HAS JUST 14 HOURS ON IT. 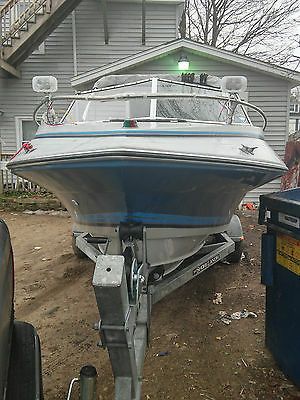 PRACTICALLY BRAND NEW CONDITION WITH HUMMINGBIRD DEPTH FINDER AND GPS ADDED, ALONG WITH BIMINI, AND ALL BUMPERS, LINES, STAINLESS STEEL ANCHOR, EXTINGUISHER, ETC. HERE'S WHAT ONE WRITER FROM PROP-TALK HAS TO SAY: If the name Scarab conjures up images of Crockett and Tubbs cruising across Biscayne Bay in a Wellcraft go-fast, we have some bad news for you: you’re officially old. But if, on the other hand, Scarab makes you think of hot little jet boats with sizzling graphics and a 1503 Rotax 4-TEC jet-drive, you’re young and hip. Or, at the very least you’re keeping up with the times, because starting with the 2014 model year, Scarab is back in a jet boat incarnation. Rec Boat Holdings, the same company that owns such name-plates as Four Winns, Larson, and yes, Wellcraft, has taken the Scarab brand and applied it to its new line of jet boats. (Current Wellcraft Scarabs are to be tagged "Scarab Offshore.") BRP exited the sport boat business and stopped building Sea Doo jet boats last year, leaving what Rec Boat Holdings saw as an opportunity. And they pounced in time to introduce the line at this past October’s Fort Lauderdale International Boat Show. Of course, since BRP does still make the powerplants, everyone’s happy. That everyone might just include you, if you take a test spin on a Scarab 195 Impulse. This is one hot little number rigged with the 200-hp Rotax, and with the upgraded HO 250-hp model, posts speeds in excess of 40 miles per hour. Not bad, for an 18-foot, 10-inch long boat. And in either case, the low-profile Rotax powerplants allow Scarab to take full advantage of the stern, turning the usual sunpad into additional seating. Individual center and back sections can be adjusted independently to form aft-facing seats or can be folded flat to maximize tanning space. Another unique feature can be found in the running bottom. Many jet boats tend to wander easily, since they don’t have a lower unit or rudder beneath the hull. So Scarab molded fore- and aft-running channels into the hull (which sports a 20-degree transom deadrise), about 10 inches outboard of the keel, to help keep the boat on course. Early reports are that they work well, and the boat runs in a straighter line than one would expect from similar jet-powered features. Other stand-out features include a huge swim platform, a transom ski tow-eye, and an elevated towing point on a (relatively small) tow-tower. Graphics are off-the-charts cool, with eye-popping colors and radical designs. Even the base-boat comes with a colored hull, though not with the additional stripes and checkers. The interior comes decked-out with textured, multi-colored fabrics and panels. Driver’s and passenger’s seats are comfy buckets, and the bow cockpit is large enough for two people to stretch out in the forward-facing position or for four to sit upright. More about that bow: it’s squared-off in Sea Doo style, which is no surprise, since the tooling for the Impulse was originally crafted by that company. Will the Scarab 195 Impulse make it in today’s tough marketplace? Trying to predict would be foolhardy, but the fact that MarineMax has taken on the line is an extremely good sign. And we think this boat looks so darn cool, we’re even prepared to ignore the fact that it doesn’t have a prop. Hey, if we at PropTalk can say that, anyone can. 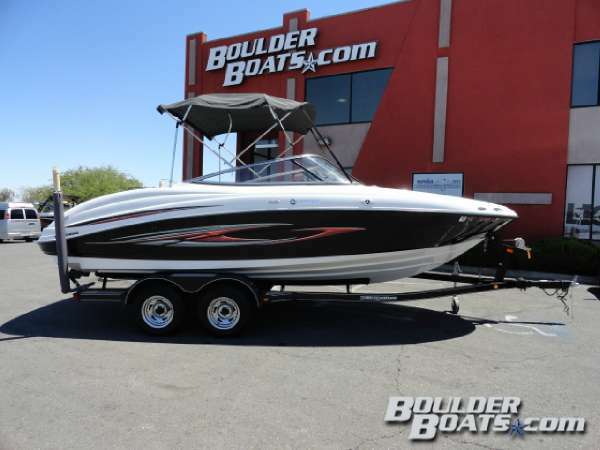 2007 Four Winns H200 $2,500 Under LOW Nada!!! V8 Clean!